Sometimes I can't help but find amusement when people get creative in public bathrooms. In May we went to the Harry Potter festival in Roanoke. This was the first year. I was amused when I went to the bathroom in Ravenclaw. How about you readers? 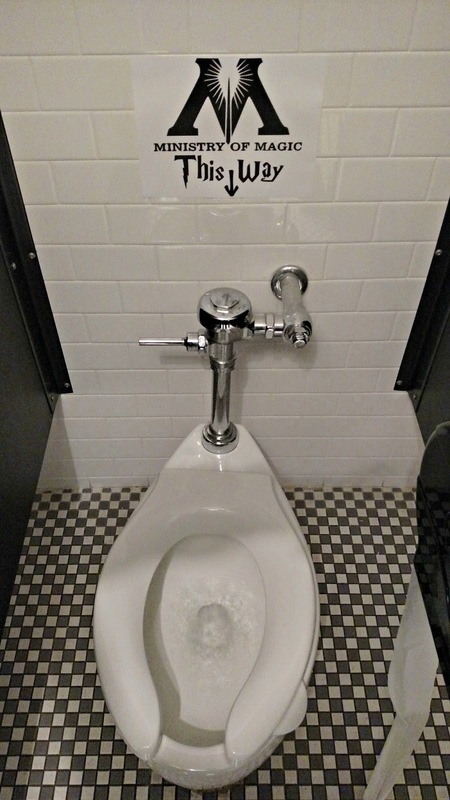 Have you seen anything funny in the bathroom lately? Is that a loaded question? Hope everyone had a great July 4th! I installed a toilet yesterday but nothing funny was involved. I once went to a friend's party and secretly put a velvet Elvis painting up in their bathroom, Elvis even had a tear going down his face as he sang into a microphone. 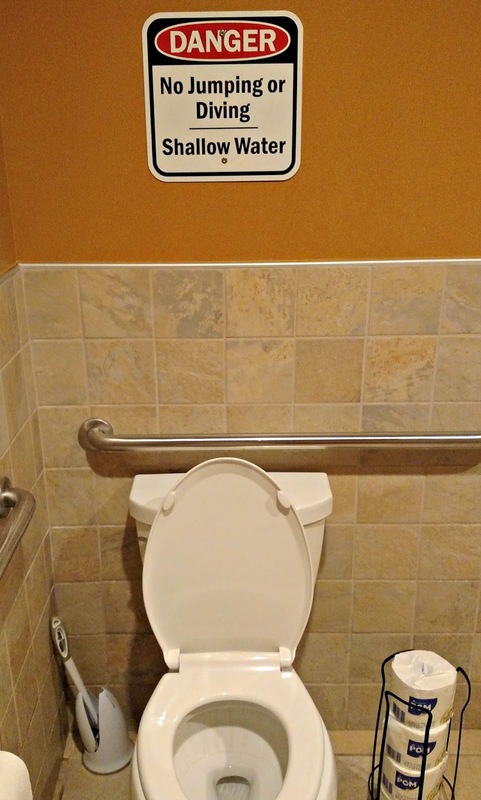 Everyone who went in the bathroom naturally assumed it belonged to the hosts. Eventually one of the hosts went to the bathroom and for some reason they suspected me. These are funny! Last year, we went to the Harry Potter Festival in Staunton. I have never seen humor in a bathroom, only graffiti. Hope you had a great Fourth! I'm always happy to see a post from you. LOL! Those are epic. Thanks for the laugh. We visit Universal Studios frequently with their Harry Potter areas. 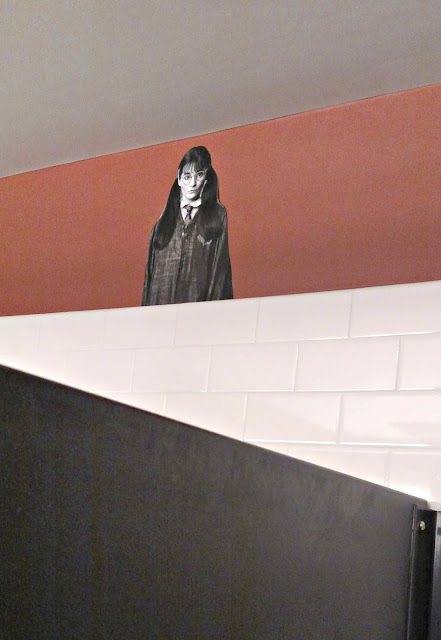 You actually get to hear Moaning Myrtle in those restrooms. I must go to all the boring public bathrooms. lol I do remember years ago at Dixie Stampede in Pigeon Forge, the theme was the Civil War, and the bathrooms were marked for the North and the South. LOL.. those are very clever. I miss Harry Potter so much! Wish there was more! Ask me how many times I've watched those movies. I love the Moaning Myrtle decal! Ha those are funny! I like the "Danger, No Jumping or Diving - Shallow Water" one. How funny! Okay - NOW you have me laughing . . .
Well that's a heck of lot more interesting graffiti than what I find in most bathrooms. "for a good time call" or words I can't write- too nasty.